In many ways, the first two years of the decade were a high-water mark for country blues artists, as the following riveting performances show. As the Great Depression caused sales to drop, though, opportunities would soon dry up even for established artists like Charley Patton and Blind Willie Johnson. Other promising talents, like Son House and Skip James, would find their careers over before they had even begun. Wiley’s delivery is reserved but far from mellow, as an almost manic anxiety lurks just below the surface. The guitarist, probably her frequent collaborator Elvie Thomas, is masterful on guitar, strumming a steady rhythm and adding some edgy, minor-key picking here and there to heighten the tension. 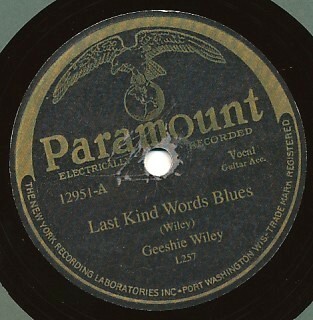 Despite recording one of the most exciting blues records of her era, Wiley made very few additional records, and almost nothing is known of her. “Kansas” Joe McCoy may have equal billing here, but there is no doubt that his wife Lizzie Douglas, a.k.a. 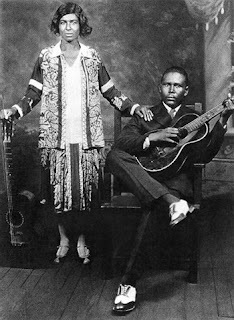 “Memphis Minnie,” was the star of the pair. 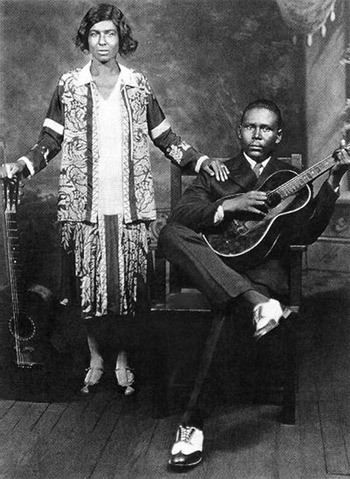 After the couple split in 1935, Minnie continued to enjoy a respectable career for another two decades and is today considered one of the greatest female blues artists in history. “Bumble Bee” was one of Minnie’s first hits and signified a shift toward the traditional “country blues” style for female artists. While her commanding voice is as powerful as earlier, vaudeville-inspired female blues singers, she plays a mean guitar and proves adept at singing relaxed, “Memphis style” blues. The gentle, twin guitar accompaniment ultimately proves more satisfying than any jazz instrumentation would have, putting her voice clearly in the foreground and allowing her a greater range of expression. Her playful change of tempo on the final verse sounds perfectly natural and ends the song on a high note. “God Moves on the Water” is one of the most amazing slide guitar performance ever captured on record. 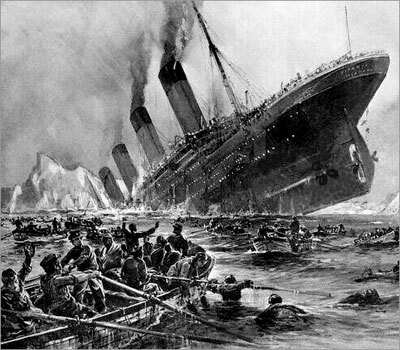 It is a recounting of the sinking of the RMS Titanic in 1912, told with religious overtones: “God moves, God moves, God moves, ah, and the people had to run and pray.” Johnson’s guitar wails and sings with as much emotion as the man’s voice, creating a haunting performance. The brief bridge in the middle is particularly entrancing with its stark, deeply expressive slide playing. The bridge ends with a wonderful transition as Johnson gives a little moan and starts fingerpicking again. “John the Revelator” is a powerful gospel blues that references the author of the Biblical Book of Revelation. Johnson, one of the most striking vocalists and musicians in blues history, gives an inspired performance. His rough voice repeatedly growls questions (“Who’s that writing?”), and a woman’s voice (most likely his wife Willie B. Harris) answers “John the Revelator” in a much softer voice that provides a clear contrast. Johnson’s passion comes through loud and clear, and despite the rawness of his voice, his singing is quite strong and the song quite exciting. 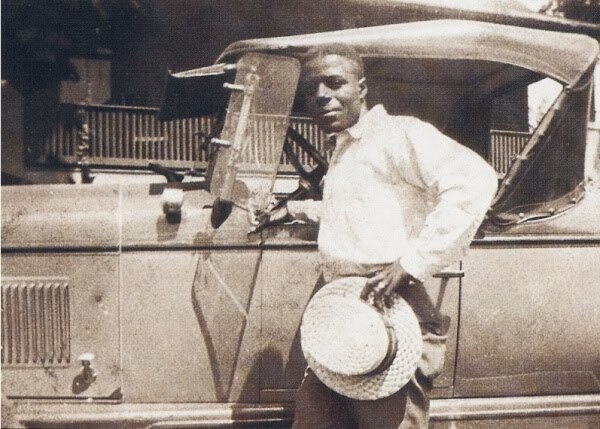 After the April 1930 session that produced “John the Revelator,” Johnson would never record again. This song is one of Charley Patton’s best vocal performances. Covering two sides, it is an account of the utter devastation caused by the Great Mississippi Flood of 1927, one of the worst natural disasters in U.S. history. Patton gives an eye-witness account of what he saw traveling throughout the region: “Oh, Lordy, women and grown men drown / Oh, women and children sinkin' down / I couldn't see nobody's home and wasn't no one to be found.” Patton’s delivers these lyrics with utter conviction, reaching deep into his soul to convey powerful emotion with every line. In Part 1, his gravelly voice strains with a sense of urgency and desperation. In Part 2, he sounds more reserved and saddened. Both are equally heartbreaking. Eddie “Son” House is one of the giants of the Delta blues. He had a unique style characterized by repeated signatures on guitar, over which he layered intense, shouted vocals. He recorded only a few sides in the 1930s and a couple more in the ‘40s, but they were enough to cement his legacy. Eventually, he was rediscovered during the folk revival and made some recordings late in his life that nearly matched the intensity of these early sides. Willie Brown is both one of the most influential Delta blues musicians and one of the most elusive. Very little is known for sure about the man, except that he was a renowned sideman, accompanying such greats as Charley Patton and Son House. Many music scholars believe that he was an uncredited guitarist on the records of many other artists as well. He was also a noteworthy vocalist, but only three of his known solo records have survived: two from a 1930 session and one more from 1941. “Future Blues” is taken from that first session and was issued by Paramount in 1931. Brown’s guitar playing is solid; he plots a fairly straightforward course, but executes it with precision. He regularly snaps the strings to add some emphasis. His distinctive voice is rough and yet wonderfully expressive. The highlight of the song is the fourth verse, where instead of repeating the first line twice, Brown slowly unfolds the line, revealing more and more of it until he finally says the whole thing: “I got a woman, Lord, and she's lightning when she smiles.” Brown’s voice soars, growls and grins during the delivery of this verse, and it is a joy to listen to. 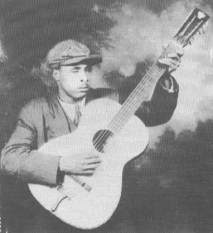 Nehemiah Curtis “Skip” James had a unique sound among Delta blues musicians, and his legacy has proven highly influential. He recorded 26 songs for Paramount in 1931, but only 18 have survived. Despite their utter brilliance, sales of James’ records were poor due to the Great Depression, and he would not record again until the very end of his life when he was “rediscovered” during the folk revival. Nevertheless, his sound proved influential to later blues musicians like Robert Johnson, and his stature has grown over time. “I’m So Glad” is another classic from James. Like “Devil Got My Woman,” James’ distinct, high pitched voice features prominently and gives the song an otherworldly feel. However, this song is much faster, and contains some inspired fingerpicking. James easily proves himself the equal of the best Piedmont blues fingerpickers, but his technique is uniquely his own. His unusual tone and forceful delivery set him apart from his contemporaries, and mark him as a kindred spirit with later guitar heroes like Jimi Hendrix and Jimmy Page. Willie Walker was a talented guitarist who unfortunately only cut only single in his lifetime. “South Carolina Rag” is one side of that solitary record, an easy-going, ragtime-inspired ditty that leaves you wanting more. Walker has a fine voice with a lot of range, and he takes advantage of it in the way he slides from low to falsetto. But it is his guitar work that deserves most of the praise, as he shows a fluid fingerpicking style that shows him to be among the best of the Piedmont blues guitarists. Walker manages to show off on guitar without doing anything to diminish the song’s relaxed feel. It’s an enjoyable and entertaining listen that shows true talent, and like so many others of his generation, it is a shame he didn’t leave behind any more of a legacy. Willie McTell recorded under a variety of names for a variety of record labels. For this original recording of “Broke Down Engine Blues” on Columbia, he was billed as “Blind Sammie.” He would later record the song as Blind Willie McTell in 1933 (Vocalion 02577) and as Barrelhouse Sammy in 1949 (Atlantic 891). Whatever the name on the record, there is no mistaking his distinct voice and unique 12-string guitar style. Leaks in the faucets and pipes could be the major problems frequently experienced by the home makers and also found in the commercial buildings. Flood damage Miami repair services at Water Restoration Guys have the capacity identify even little, concealed pockets of water, which you'd never have speculated were there. 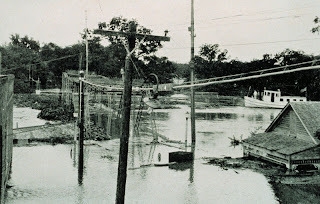 At the point when your house is consistently undermined by water harm from flooding or holes, water damage experts Fort Lauderdale have the mastery to anticipate or alleviate the destroying impacts water harm can have to help safeguard and restore your property.